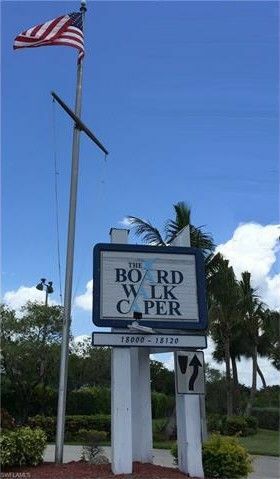 Very Clean Gulf Access Town Home in Beautiful Boardwalk Caper, the area's premier boating community. Being sold Turnkey Furnished with Boat Slip # 49 included. Enjoy your morning coffee on your glassed/screened in Lanai, just steps to one of four beautiful pools in the community. Unit has new hurricane rated windows, new AC, upgraded kitchen, and outdoor courtyard for grilling. During your morning or evening walks or jogs on almost one mile of the featured lighted double boardwalk you'll be overlooking 251 boat slips with assorted sail and power boats up to 50' in length, and of course plenty of dolphins playing. Don't wait for this One! Available for quick closing.